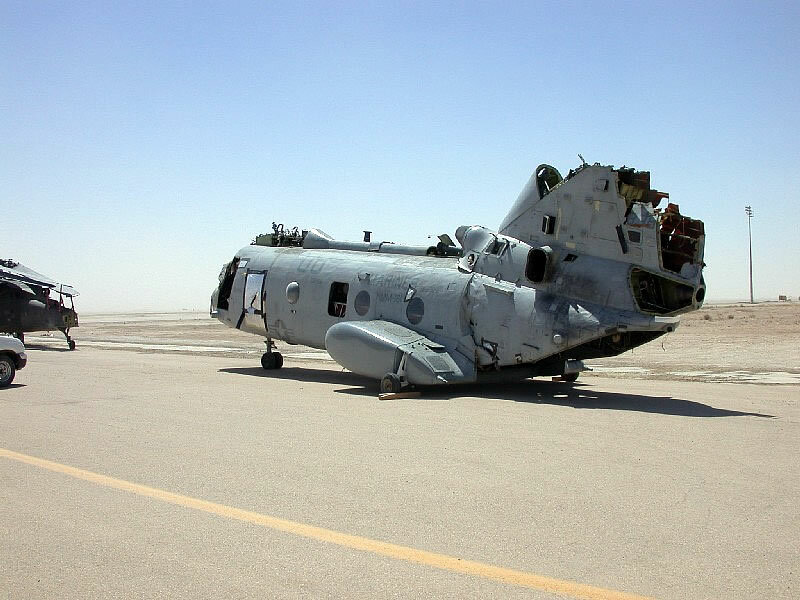 Helicopter 153389 rests at Al Asad, Iraq, after being recovered from a hard landing. The aircraft was repairable after the landing until the Army volunteered to recover it. During recovery, the convoy drove under a bridge with a low clearance resulting in the aircraft smashing into the bridge.